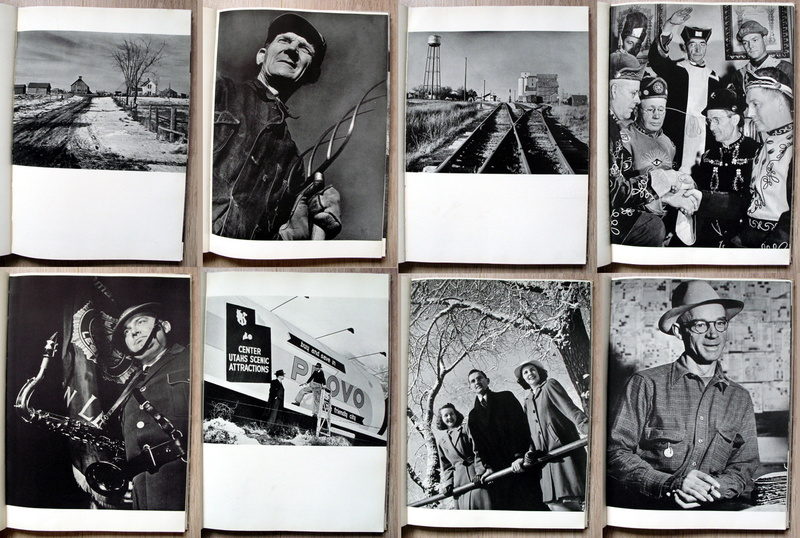 This book is the third collaboration between husband and wife team Margaret Bourke-White and Erskine Caldwell whose 1937 book You Have Seen Their Faces was a passionate indictment of the economic and social conditions prevailing in the Southern States. Say, Is This The USA? 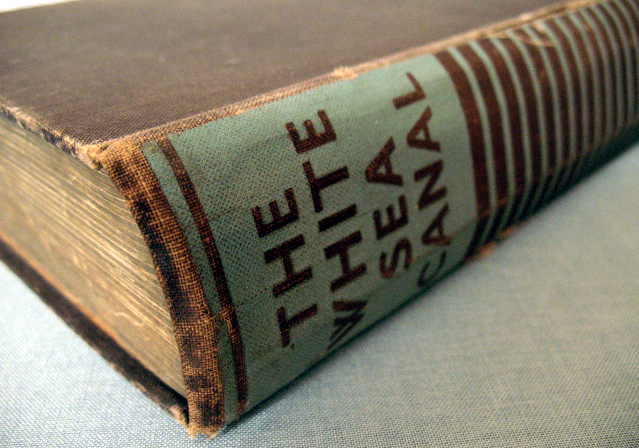 was published in 1941 and is a partial survey of a country on the brink of war that is narrated through both textual and visual ‘snapshots’ with very little depth, that serves to promote the message that the US has emerged from the hard times of the 30s and is now united in defence of American values and freedoms. 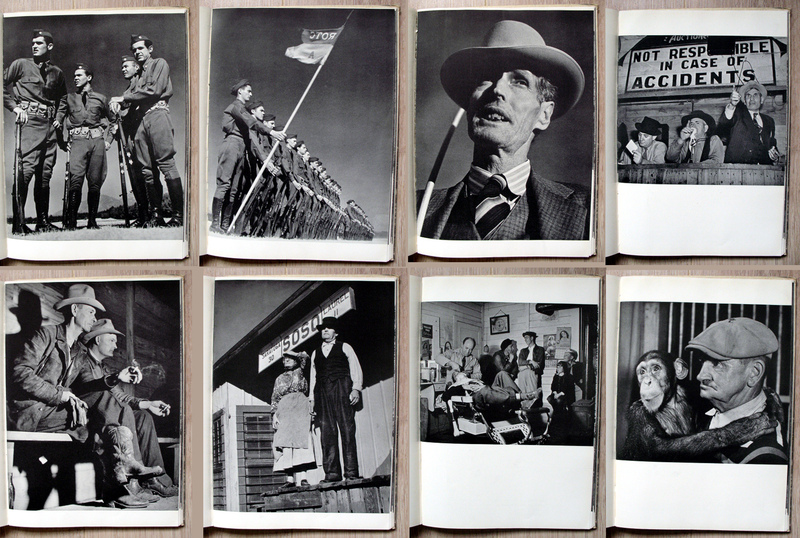 Although the book does allude to economic and social problems, the overall tone of both the text and images are upbeat and positive, in constrast to American documentary photography in the 1930s. The scars of the economic cataclysm that wreaked such untold damage to individuals during the Depression era are present within the book, but they are glossed over in the face of the oncoming global war. Differences and problems are acknowledged but these are incorporated into the melting-pot rhetoric and instead become examples of the unique strength of American democracy in contrast to competing ideologies. As usual, in the face of an external threat internal dissent is suppressed in the name of national unity and patriotism and this is what this book is designed to do. The authors devote a large portion of the book towards the clichés of small-town social harmony and hot-apple-pie-that-mom-used-to-make that is an enduring part of the American myth. Even the constant reference to the railroad in a time when the car had already gained ascendancy seems to hark back to a simpler frontier-taming era as seen in the Hollywood Western of popular culture. Embodying the values of rugged individualism that are potentially threatened by totalitarian enemies the images and text portray a nation of small, but largely prosperous towns, filled with patriotic and peace loving Americans who although they don’t want to fight, are prepared to do so if their way of life is in danger. Americans are most definitely wearing the white hats (or are part of the cavalry) while the enemies of democracy are either marauding indians or black-hatted cattle rustlers. 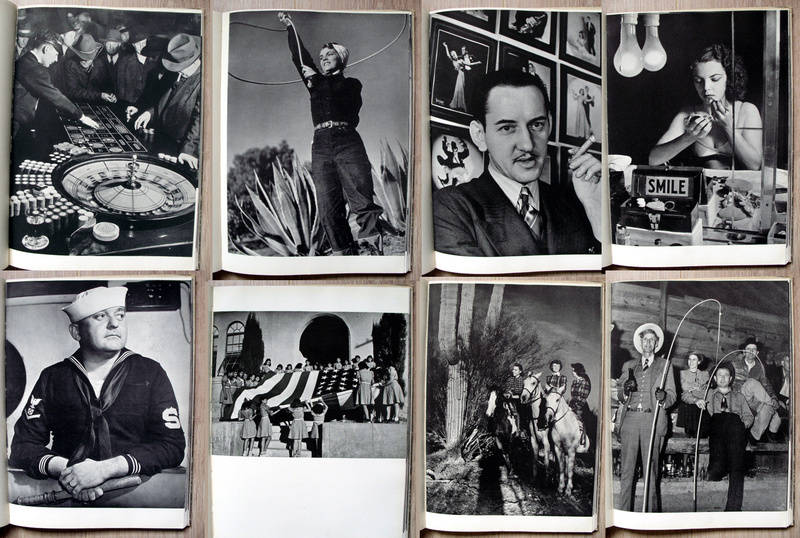 The photographs consist of a mixture of both landscapes and portraits which do not show any signs of despair or misery; everybody and everything is manicured, clean, freshly pressed and presented as the embodiment of American success. 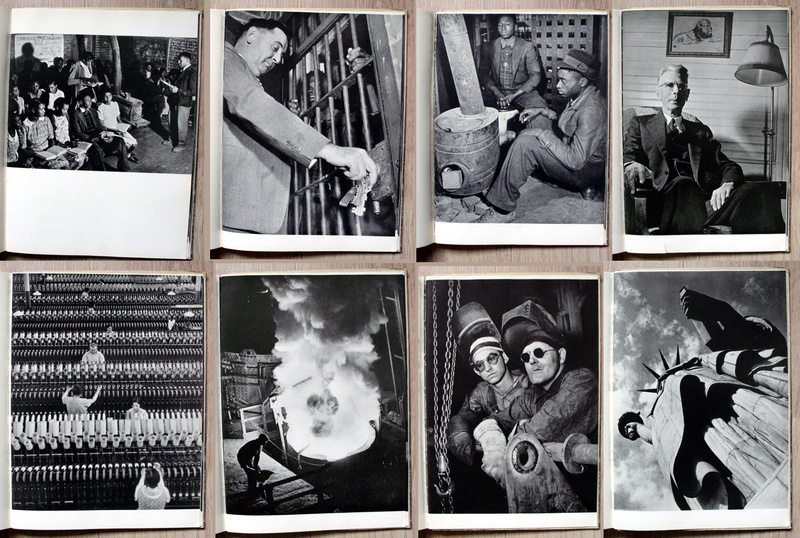 The last section of the book is devoted to industry with images of a busily humming capitalist economy that has overcome the shock of the Depression decade and proved that the American dream is not only alive, but thriving. The only potential disruption to this overarching theme is when the book looks at racial difference and segregation in the Southern States, but here the images and text are negated by the deluge of patriotism that pervades the book. Instead of a passionate cry for a transformation of the social and economic system that kept so many locked into slavery in all but name, the narrative calls for a greater coming together and mutual understanding on the past of both white and black that they are part of a single American nation. 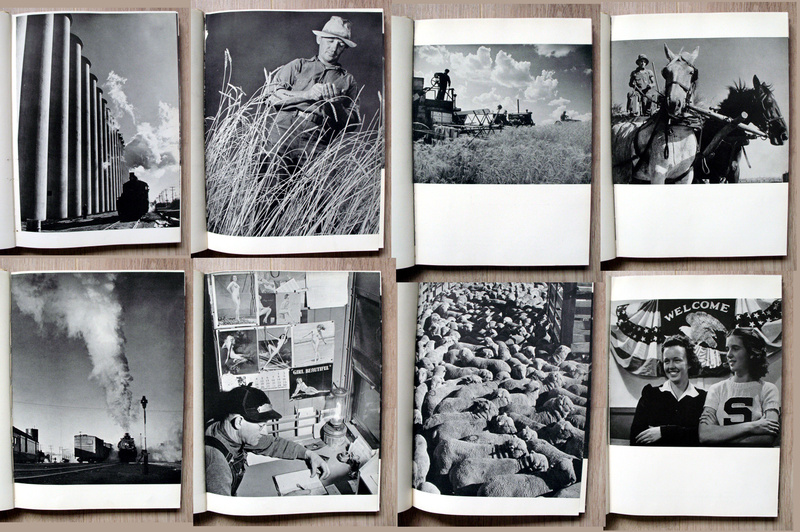 Yet racial difference and stereotypes are reinforced through Bourke-White’s 5 photographs tha depict black people that provide contrast to the well-dressed, middle-class whites that appear throughout the rest of the book. Two of these images show black education in relatively poor but not destitute surroundings and another is of a young black boy who glares back at the viewer. The last two are of adult black men in jail, one of which shows a smug looking warden turning the key of a cell as a black man grasps the bars. The message is clear; the young black boy who stares at the camera is destined to join them in jail when he grows up. There is an implied acceptance of this state of affairs in the way this is presented. The final picture is of the Statue of Liberty, shot from below, standing guard against the foreign menace that threatened the core democratic Enlightenment values that America believes itself to uniquely embody. Bourke-White and Caldwell’s patriotic rhetoric captured the zeitgeist of the time, preparing a bruised democracy for inevitable participation in a war that would ultimately lead to American political and cultural dominance that persists to this day. This book was published in 1935 by Bodley Head in England (there is also a US edition called Belomor) and written by a committee of writers led by Maxim Gorky who do a masterful job of twisting what was in reality a horrendously brutal and viscous regime where thousands of people were mercilessly worked to death in order to construct a narrative that is breathtaking in its cynicism. Within the pages of the book we meet a number of inmates who are presented as either criminals or political opponents who opposed Stalin’s murderous rule. By labouring on the canal they all finally come to understand the error of their former ways and find salvation and redemption through participating in this collective endeavour. Within this grotesquely surreal narrative the Gulag guards are transformed from sadistic, brutalised butchers of Stalinist terror into benevolent, even paternalistic father-confessor figures, whose only goal is to ‘reforge’ the unfortunate inmates so that they can become happy workers. At the end of the book there’s even a happy ending as the arch-psychopath himself, Stalin, pays a visit and sees what a great job everybody has done in building this pointless canal. This is Orwell’s world come to life. 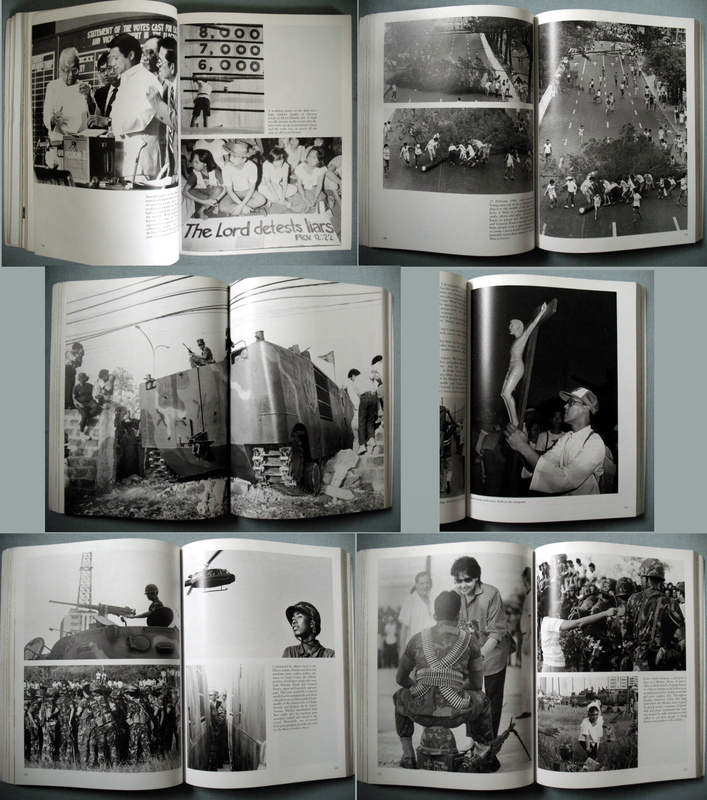 Accompanying the 340 page text are 25 photographs which range from portraits of influential individuals (camp commandants, Yagoda head of the OGPU, Stalin etc.) to depictions of the construction and images of individuals plucked from the mass of inmates who are held up as successful examples of those who found redemption through labour. The 1930’s were the high point of the documentary book and this is a Stalinist attempt to legitimate murder and slave labour in the eyes of a foreign audience. Although this is not really a photo-book, for a horrifying example of how totalitarian regimes cynically twist reality, obliterate history and destroy the individual, look no further. 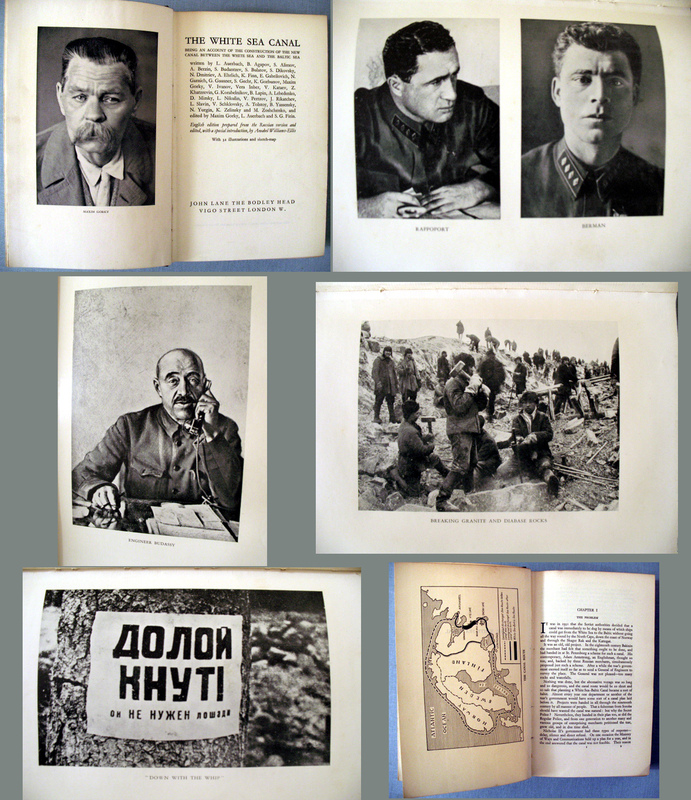 Interstingly, the Russian language version of this book was banned a few years later in 1937 when Yagoda, the head of the OGPU photographed here, was himself imprisoned and brutally executed on Stalin’s orders. Ironically, possession of this book, with the disgraced Yagoda’s picture in it, was a crime that would send you to the Gulag to experience the realities of the brutal life glossily described within this publication. Ferdinand Marcos and his wife (with all her shoes) ruled the Philippines from 1965 to 1986 when he was overthrown by a non-violent uprising against his rule, led by Cory Aquino whose husband’s assassination by Marcos in 1983 is regarded as being the catalyst that radicalised opinion against his rule. 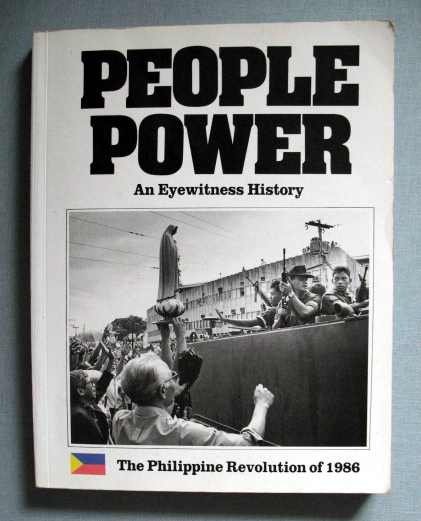 This book is a straightforward popular history using interviews with participants and images made by press photographers of the events in the Philippines which led to the downfall of Marcos. For twenty years Marcos had ruled the Philippines using the tried and tested combination of corruption, repression and violence all funded to a large extent by the US taxpayer who was helping to prop up this tinpot dictator as a bulwark against communism. Marcos called a sudden election in February 1986 in a last-ditch attempt to prove that his regime was legitimate (helped by vote rigging and intimidation) but this backfired on him and the Aquino gained widespread support as being the true winner. This factor clearly influenced the Western media’s view of Marcos which had until now been relatively benign, or at worst his excesses were excused in the name of anti-communism. But the blatant electoral fraud was an issue that resonated with the media and it provided a easily understandable narrative for the outside viewers whose knowledge of Philippine politics was negligible. The narrative is straightforward and uncontestable– beginning at the assassination of Aquino’s husband, moving on to the corrupt elections and then the street protests supported by the Church. Throughout the book references to the religious aspect of the protest abound, serving to further bolster the message that God most assuredly was on their side. 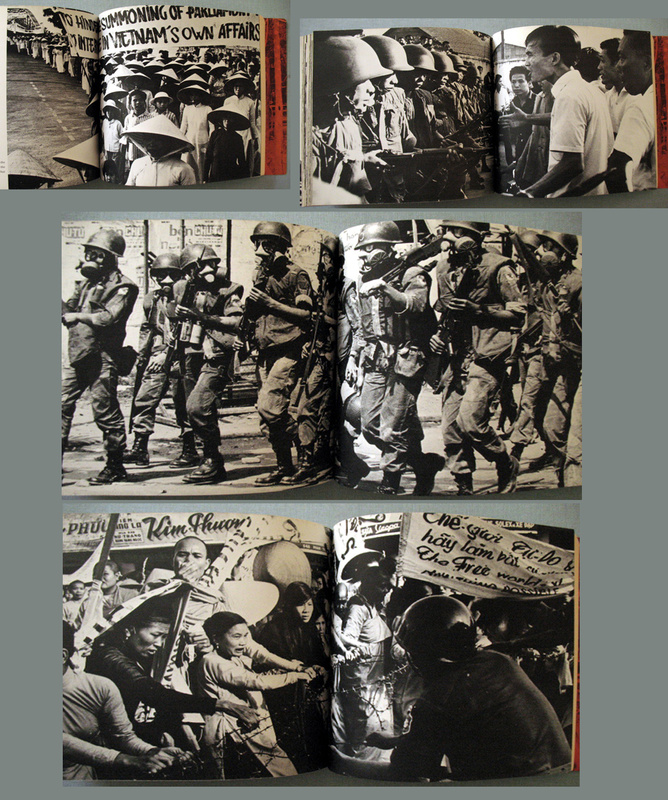 Once confronted by street protests, the army dithered and finally split from Marcos causing his regime to collapse. 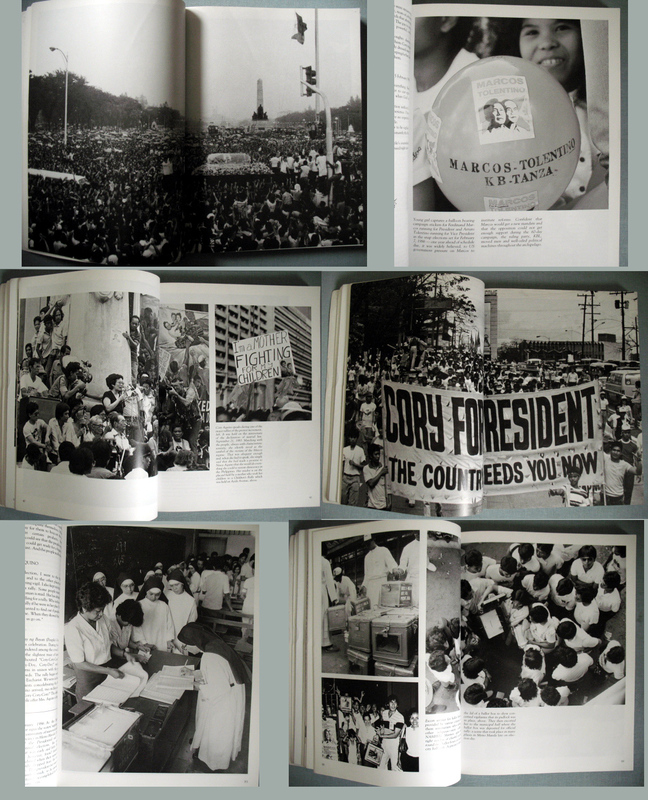 The first image and the final image in the book are to do with Aquino; the first is a video grab of her assassinated husband followed by images of his funeral while the last picture is of a newly elected President Aquino addressing a packed crowd of supporters, signifying that justice has prevailed. 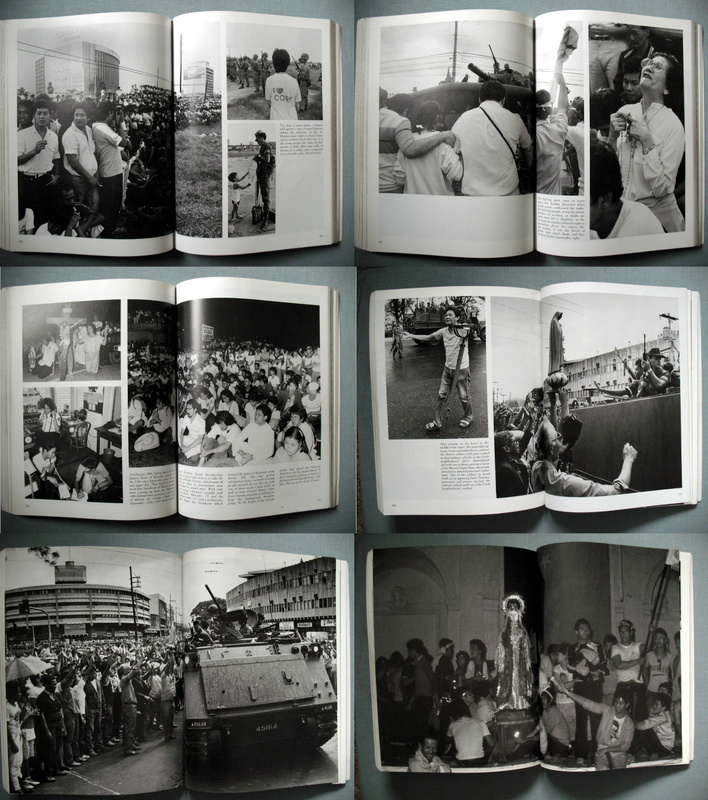 Even though Aquino only appears in a few images within the book, it is made clear that she is the personification of moral and political outrage against Marcos. The crowds of people, the nuns and the soldiers all present a chaotic backdrop to her assumption of power which unites everybody. Images made by what appear to be local photographers are used throughout and they represent the events in a typically photojournalistic style. There are a few iconic images that provide further proof of the disparity between the ‘good’ supporters of Aquino and the ‘bad’ Marcos regime such as flowers being given to soldiers by female protestors and the nuns kneeling in prayer before soldiers. Such visual iconography is used to reinforce the simplistic message of the triumph of democracy over repression. As usual in such situations, popular unrest is usually not enough alone to cause change; it usually requires the substantial sections of the military to split away and for influential figures to either flee or throw in their lot with the rebels. Here, once the Catholic Church, a hugely influential institution sided with the Aquino it legitimated and expanded the protest movement which effectively destroyed the Marcos power base. This neat, square softcover book is an early example of a publication that attempted to mobilise public opinion in the US against the war in Vietnam. 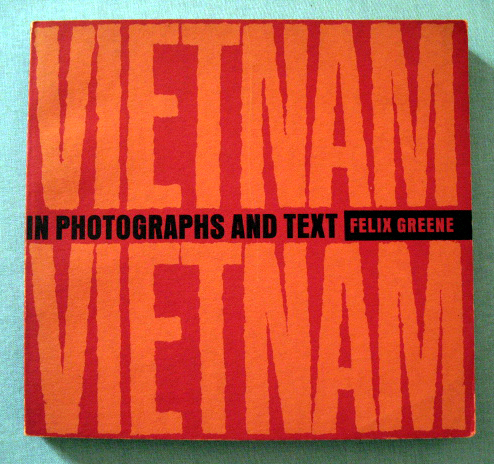 Published by Fulton in California in 1966, (1 year after large scale US troops were deployed) it combines a text by Felix Greene (noted for his left-wing progressive views and cousin of novelist Graham Greene) with photographs from a variety of news agency sources. 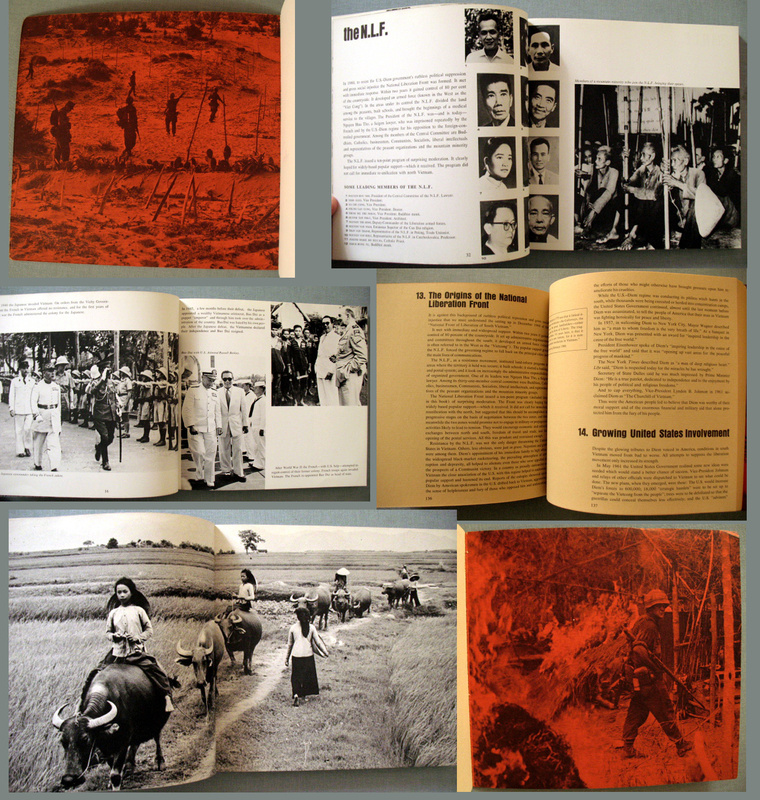 The narrative is straightforward; we begin with a brief overview of Vietnam illustrated by images of rural harmony, followed by the war against the French which culminates in their defeat in 1954 and the establishment of 2 separate Vietnamese states. This is followed by images and text which discredit the legitimacy of the US-backed South Vietnamese regime and present it as a corrupt entity propped up by American money and military force. Against this corrupt regime we have the heroes of the revolution, the Viet Cong, who are attempting to overthrow South Vietnam and unify Vietnam under happy communist rule. Finally we have images of South Vietnamese protest against their own regime, which are a precursor of things to come in the States in the following years. 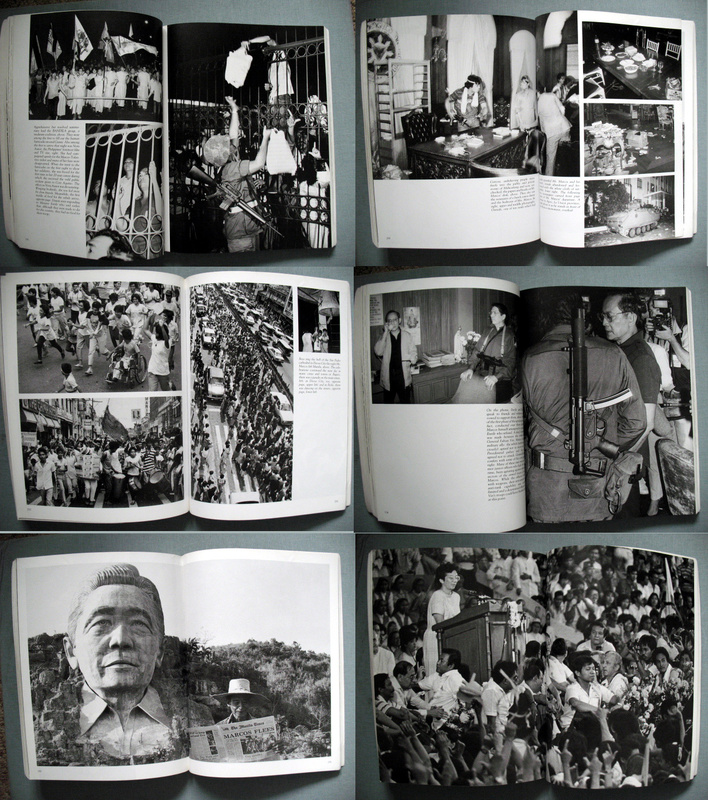 The first 120 pages of photographs are gleaned from a number of sources and broken up into various chapters which illustrate the themes of the book. 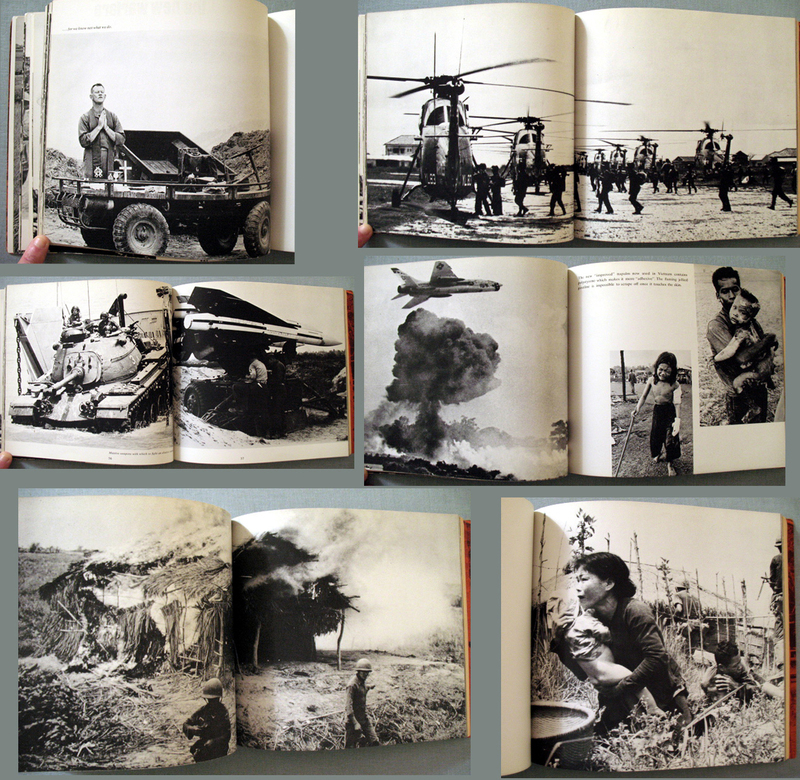 The violence and brutality of the American and South Vietnamese soldiers is made explicit in the number of graphic pictures presented in the book which depict the effects of torture and beatings as well as reference being made to the new horrors of napalm and Agent Orange which began to be used indiscriminately against the Vietnamese. 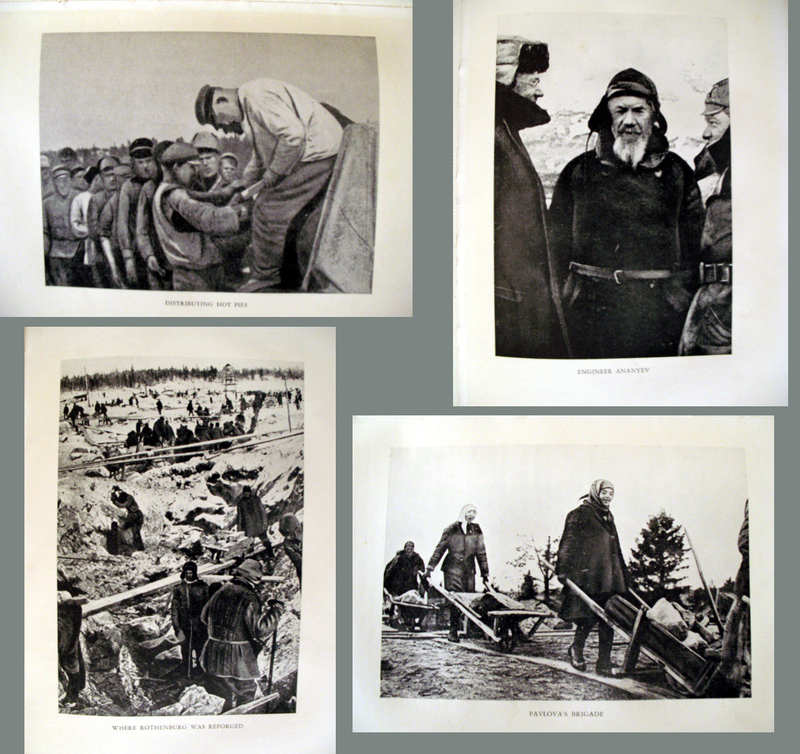 These images were made by news agency photographers ‘embedded’ within the troops at the time. As always in photography, contrast is an effective way to get your message across so set against the massive American war machine we have images of plucky Vietnamese peasants in the jungle and their paddy fields using their woefully antiquated rifles and home-made weapons to repulse the invaders. 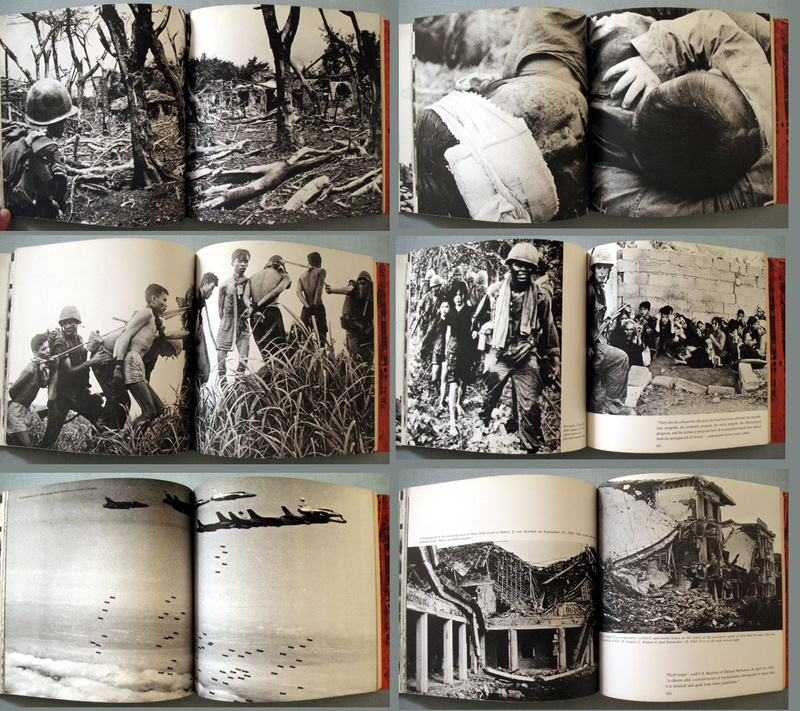 Some of these are images Greene photographed himself, which mainly record street scenes in Hanoi and the effects of bombing, while others are credited to the D.R.V. Information Dept. 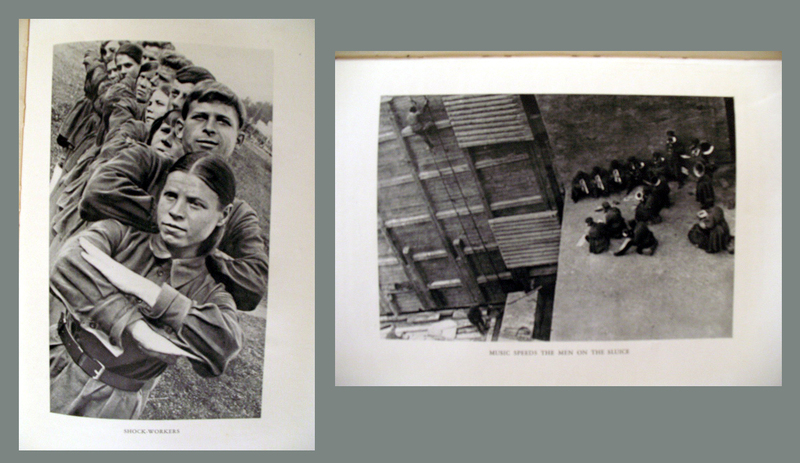 Photographed in the socialist-realist style these latter images romanticize the defiant guerrillas, making their heroism all the evident in the face of the unscrupulous Yanks. 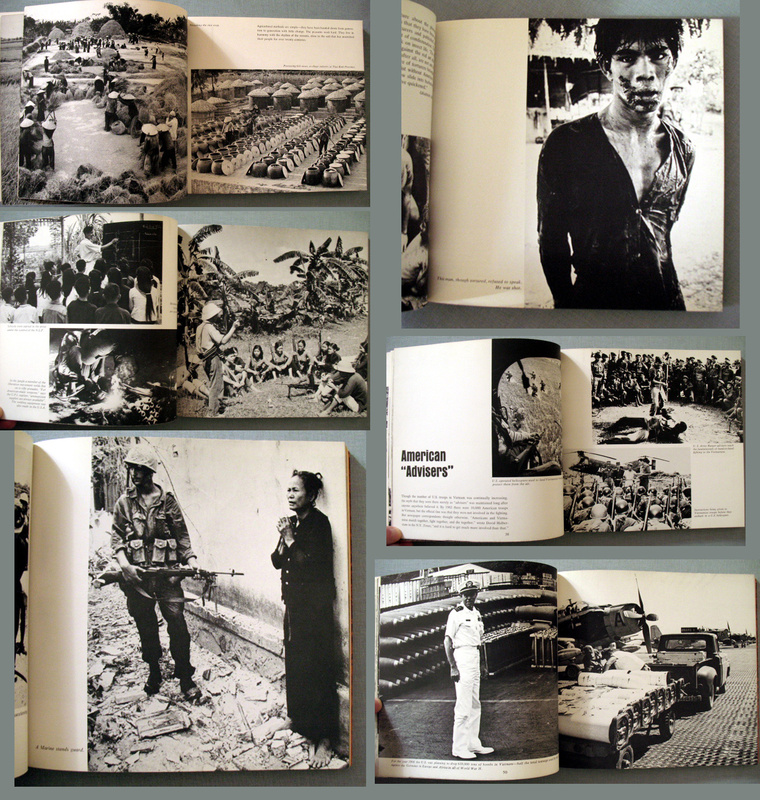 The fact that these images of the Viet Cong and North Vietnamese are all carefully constructed photographs as opposed to the product of the Western photo-journalism is not referred to within the book. This is an important early work in the anti-Vietnam struggle and played its part in radicalising opinion in the USA against the war. In some ways it is possible to place it alongside Philip Jones Griffith’s Vietnam Inc, although Greenes’ blindness to the darker realities of communism does taint this book by comparison. Unlike Vietnam Inc, which draws the various strands and layers of US involvement together to produce a very effective commentary upon the of nebulous layers of political, social and economic factors involved within modern warfare, Greene’s book is narrower in scope. The message is simple; the Americans should leave and allow the Vietnamese to get on with things and unify their country under communist rule. 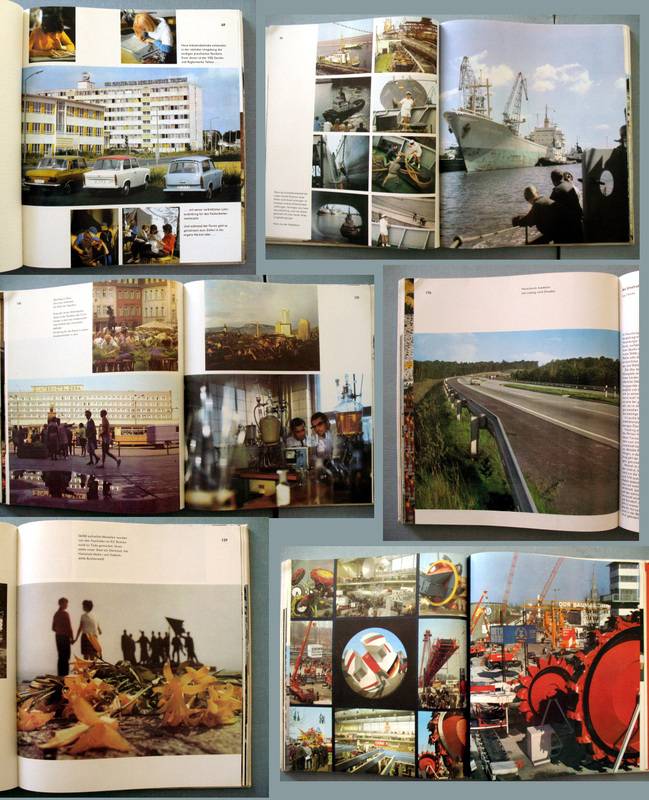 This relic of the cold war was published by Leipzig publisher VEB Brockhaus in 1974 and is clearly designed as a coffee-table book extolling the wonders of East Germany. 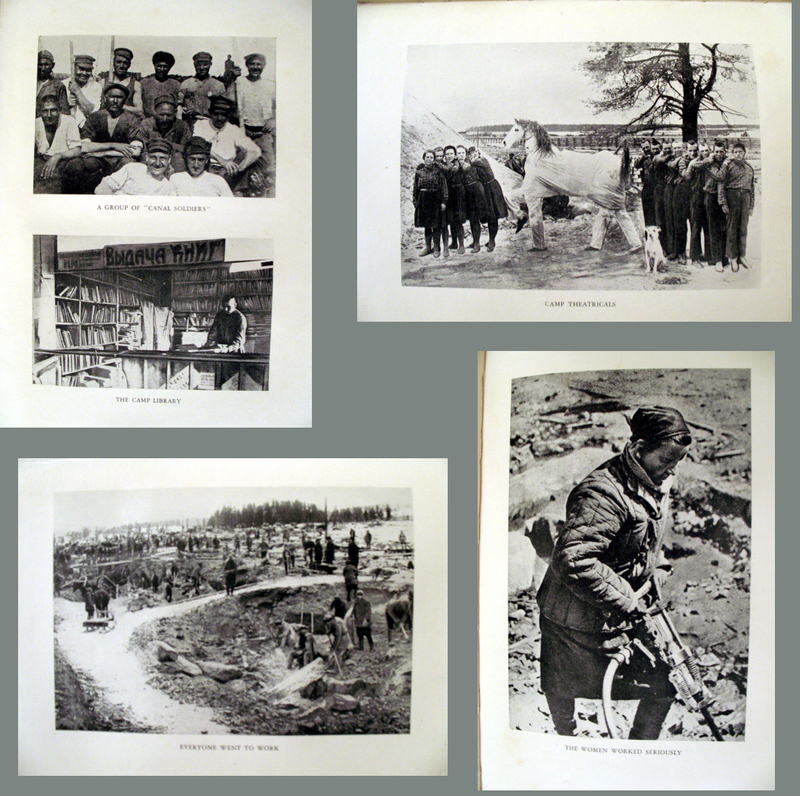 The text and captions in the book are in German only but there is a separate brochure with the captions in English, French, Polish, Czech and Russian making it an ideal memento for fellow travellers from other Iron Curtain countries. The production quality of this square 10 inch hardcover book isn’t bad with a mixture of gloss pages for the photographs (although the printing could be better) and matt for the text. 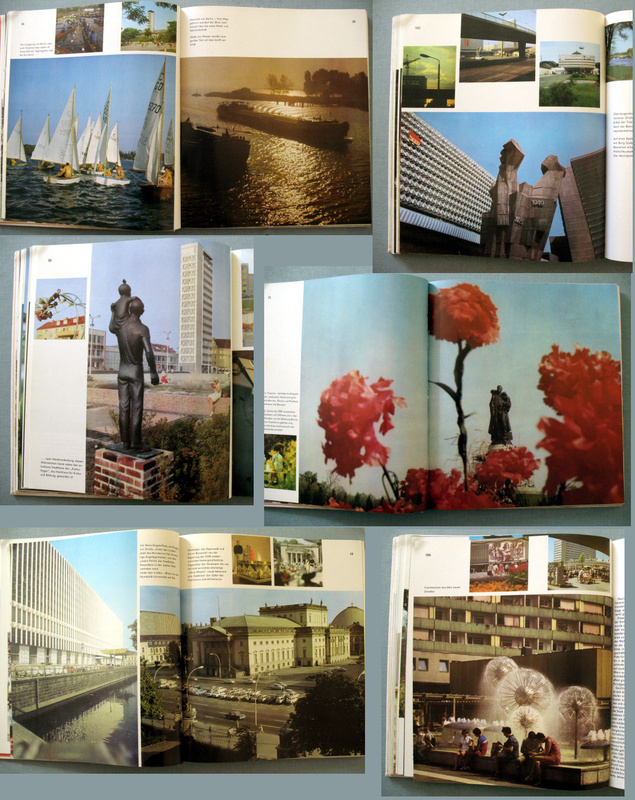 The publication attempts to provide a brief overview of the various regions and cities of the old DDR, showing the usual crowd-pleasing depictions of picturesque scenery, mountains, sunsets and architecture that tourists and the general public seem to enjoy. We have the usual contrasts between the ‘old’ city full of timbered medieval houses and then the shiny ‘new’ city primarily made up of plattenbau, the prefabricated concrete tower blocks that were used to provide instant housing after the war. The contented looking people lounging about in the city squares and the kids playing in apartment complexes all serve to show that these concrete blocks built by the benevolent state are inhabited by happy workers who seem to have lots of leisure time to enjoy the wonders of socialism. As can be imagined, there are no references to the wall or the all-pervasive Stasi secret police that kept the population on a tight leash. 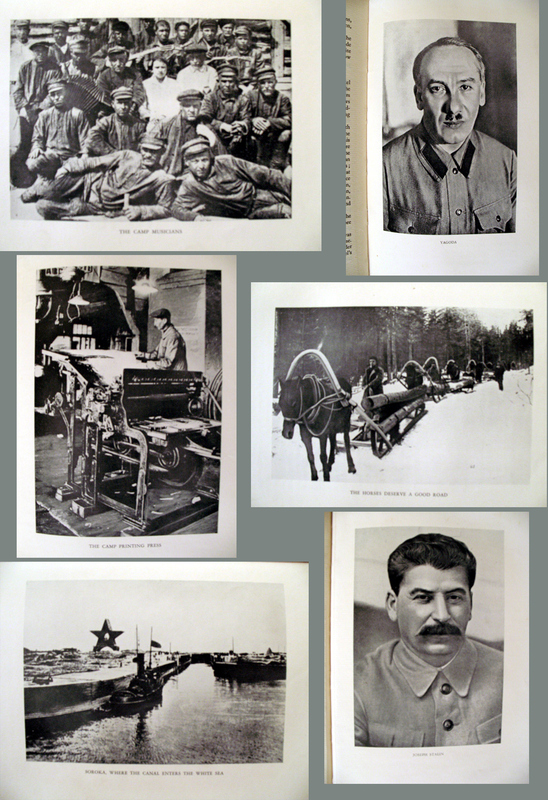 References to the Soviet Union’s importance are given prominence with the appearance of Brezhnev and Honecker and the Soviet war memorial in Berlin appearing early on in the book. 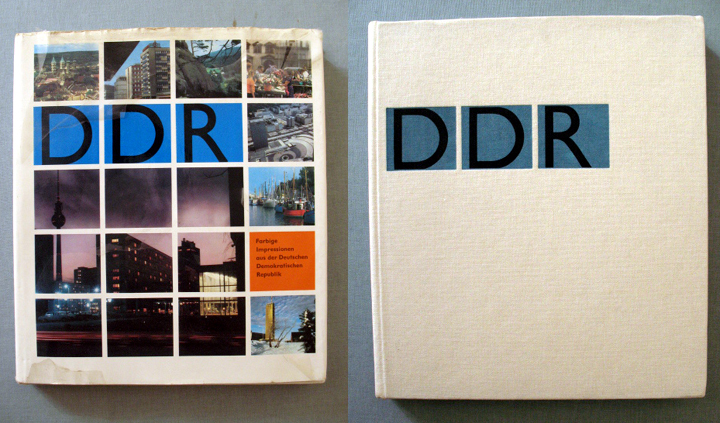 This to me would seem to indicate just how insecure the old DDR felt; even in a book clearly designed to showcase socialist East Germany as a shining success to the world it was impossible not to include the Russians. 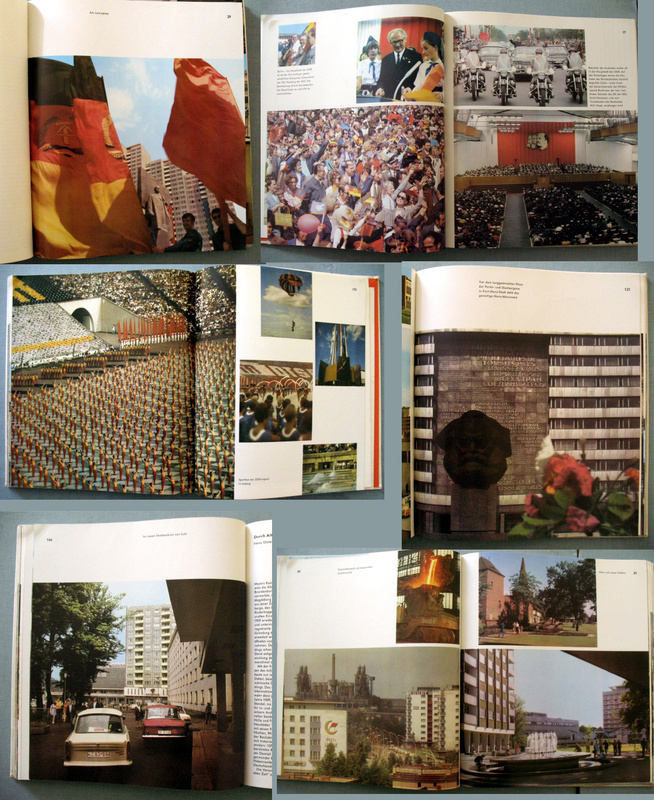 As this is clearly a tourist book, images of the usual themes that communist propaganda seems to enjoy (heavy industry, collective agriculture, the military) are heavily toned down and only make fleeting appearances so as not to disturb the reader’s illusion that all was well in the DDR.